The Ruth D. Gates Digital Scrapbook | Clipping, "Brilliant Marriage at Cumberland Center Last Week"
Clipping, "Brilliant Marriage at Cumberland Center Last Week"
Brief description of the wedding of Jeanette Sturdivant and Robert Marsh Sturdivant. Ruth Gates is the rightmost woman in the photo. Writer unknown, photo by Adams Studio. 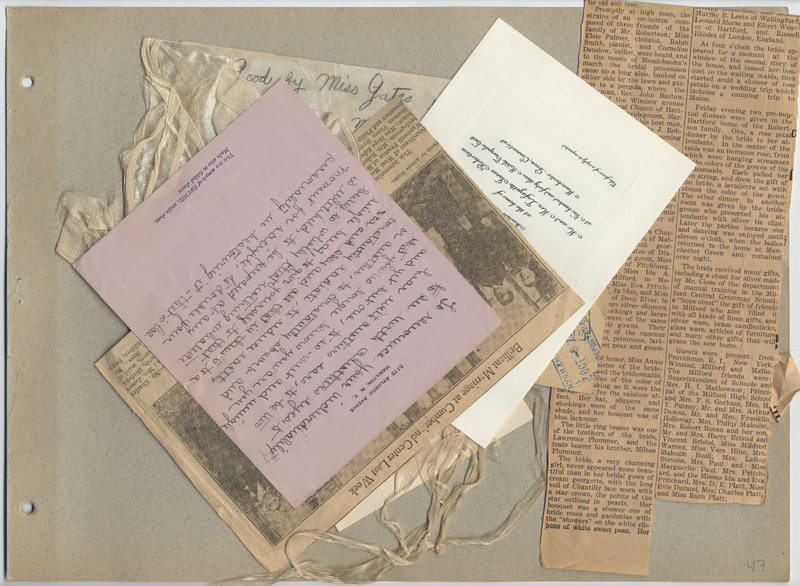 The newspaper clippings in Ruth Dorcas Gates' scrapbook all date from the years 1923 to 1925, and it is unknown whether the copyright were renewed in the cases in which still existing newspapers are the clear authors. It is assumed that materials of still existing newspapers are under copyright unless known otherwise. The material may still be accessed strictly for pedagogical use. Undated materials are presumed to be from the year 1925 or earlier, as the scrapbook's latest material dates from that time. 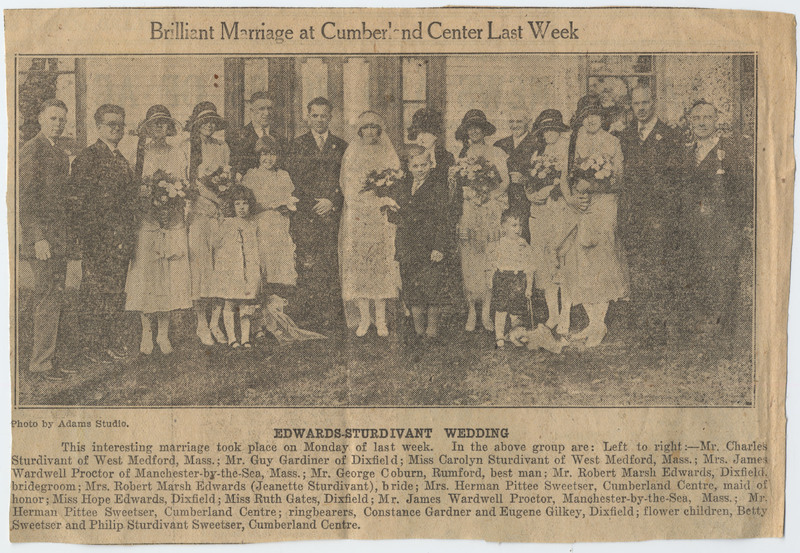 unknown, “Clipping, "Brilliant Marriage at Cumberland Center Last Week",” The Ruth D. Gates Digital Scrapbook, accessed April 19, 2019, https://slis.simmons.edu/ruthgates/items/show/301.